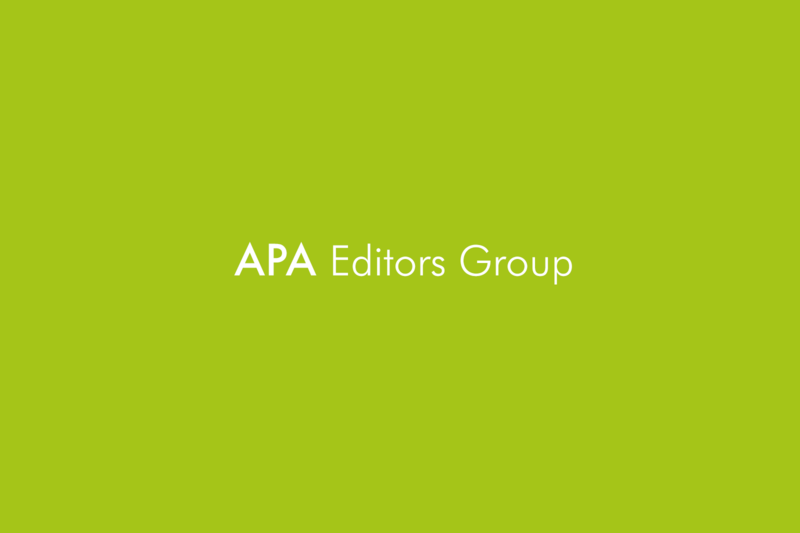 We are holding a meeting for the APA Editors Group at 10 am on Tuesday 15th May, here at the APA. At the meeting of the groups representing editors and production, it was clear that the approach of each group to the engagement of an editing co by a production co was very different. There are issues to resolve but the meeting was positive and I think we will get there in terms of reaching an agreement. The agreed course was for the Production Group to present what they would like to agree, in terms of the contract, for the Editors Group to consider and then have another meeting between the representatives of the two groups. We will have that document to examine and comment upon at the 15th May meeting. If you would like to discuss further at any point, please give us a call.